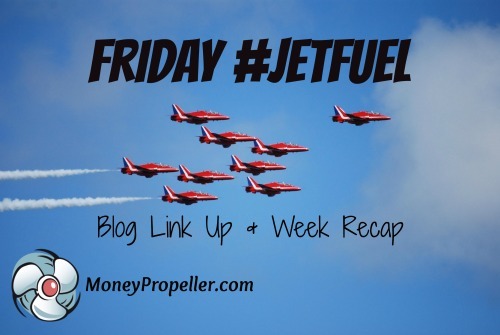 Welcome to the Friday Jet Fuel post on Money Propeller! Things are always happening in internet land and this is your chance to discover even more. To ensure that you’re coming along for the ride with Money Propeller, sign up for our monthly newsletter, that features a recap of our highlights for the month. I kind of broke the site for a bit earlier this week… I hope you missed that error! Air travel is the second safest form or transportation. Only the elevator/escalator is safer, although it would take quite some time to travel 1,000 miles on an escalator. How much money we made in January! How much it costs to live in Winter – clothing is expensive! I love, love, loved this piece which is an interview with an Airbnb founder. It’s got great business insights and a good general “get out there and try things” message. Sarah has some awesome news – she managed to make $59,000 in her first year freelancing, and now has a book that tells the story, called Five Figure Writer. I am writing this from *not* being at pub trivia tonight. This book is my ode to pub trivia.